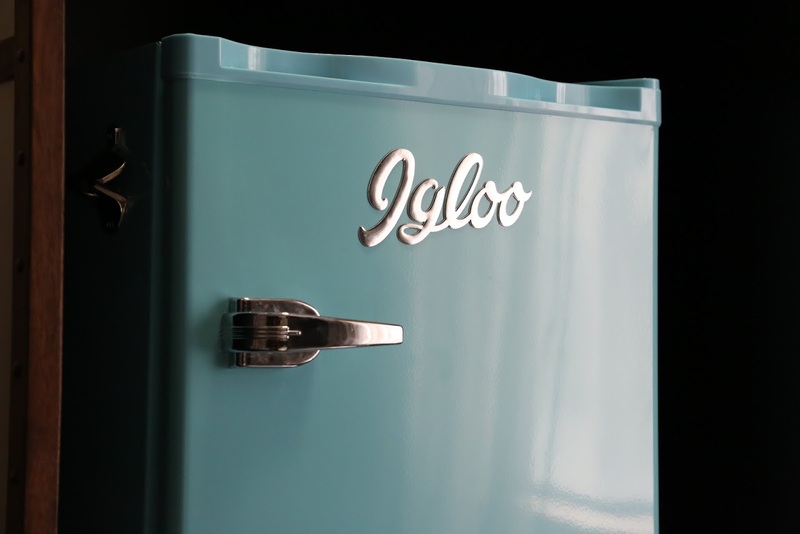 Discover something different and choose a place to stay in Houston, Texas that gives back to the community. 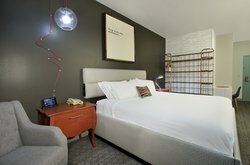 Hotel Ylem offers a breath of fresh air, a boutique experience that will remind you why it feels good to give back. 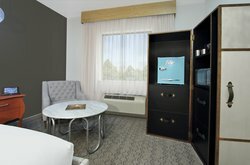 One of the most important elements of our hotel is our Y-Lanthropy community partners, who are an instrumental element to our hotel's unique atmosphere. With beautiful art on display and luxury bedding to tuck you in, it’s easy to feel at home at Hotel Ylem. 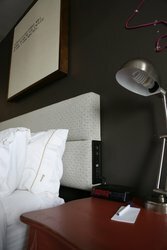 Our boutique hotel rooms have been curated to match the attention to detail we strive to provide to every guest interaction. Experience the perfect combination of contemporary details and the comforts of home in our cozy accommodations. 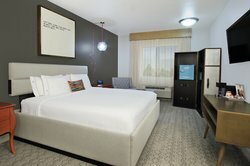 Why not order up extra pillows or a leg massager on your KEYPR tablet from the comfort of your room, or catch up on your favorite Netflix show after a long day. 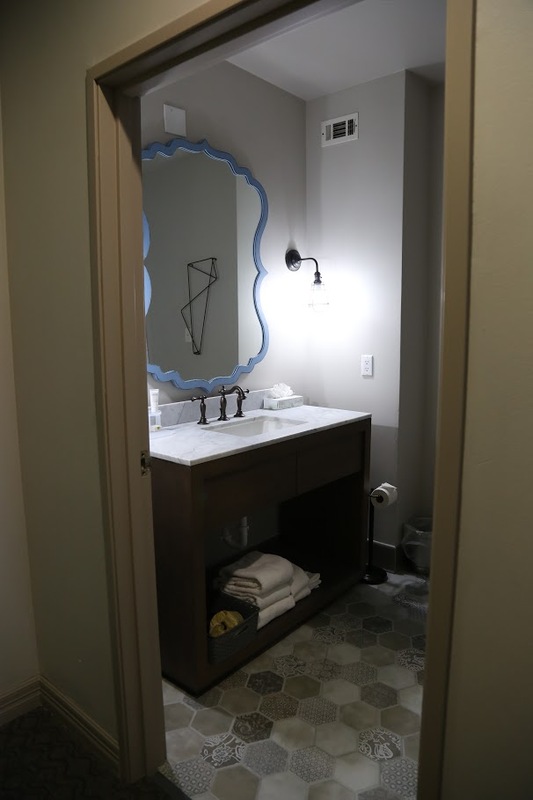 Some of our favorite room highlights are the bedside charging stations with multiple outlets, and the soaps from Lather, a local company focused on creating natural products. 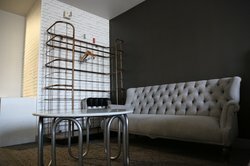 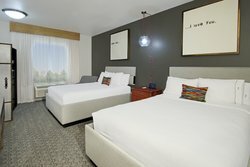 Hotel Ylem is proud to offer our guests a place to stay in Houston that provides a unique experience while giving back to our community. 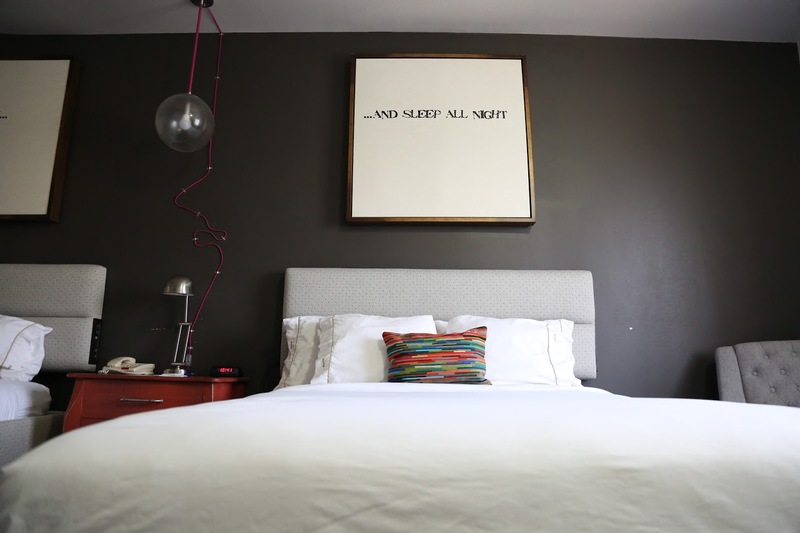 Accommodating up to four guests, our double queen room comes with luxury bedding, an oversized armchair, and a full private bathroom with a shower, tub, and toiletries. 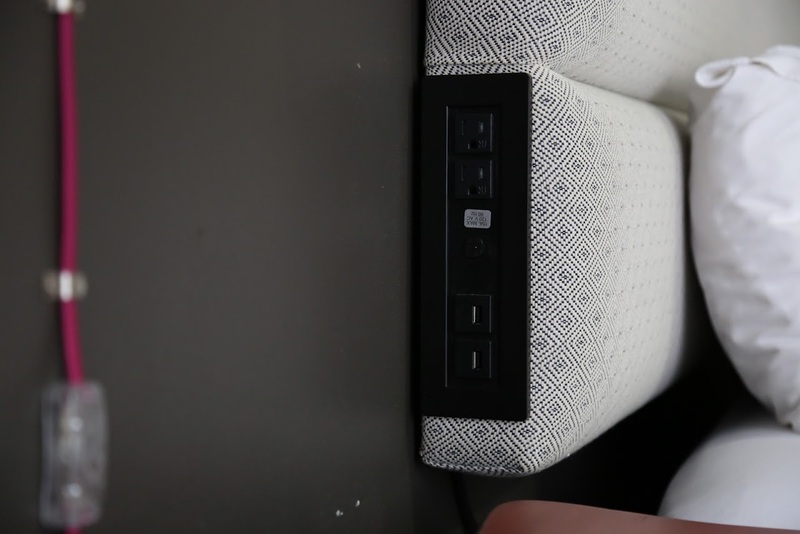 Stay connected with our high-speed Wi-Fi and get organized at your designated workspace with a Kaypr Tablet. Relax after a long day spent exploring Houston in our spacious double queen suite! Each of our suites offer a large seating area for lounging and entertaining. 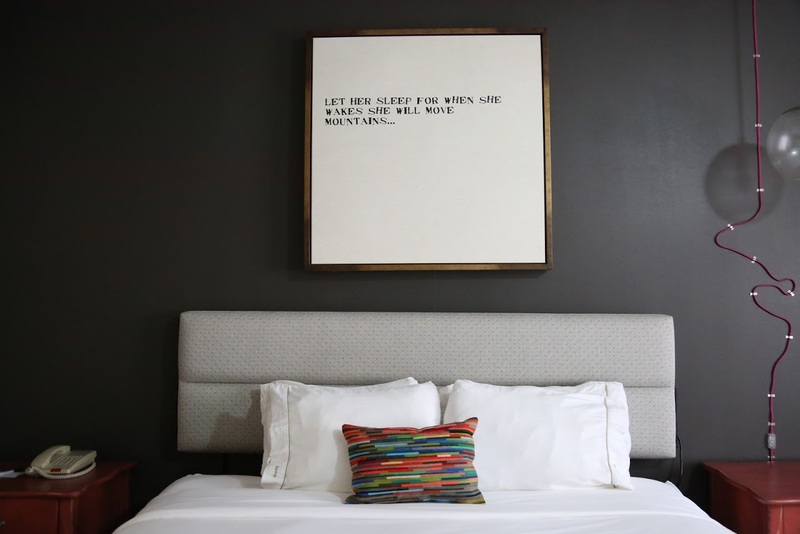 Each room in Hotel Ylem features art that is designed to enlight and inspire our guests. 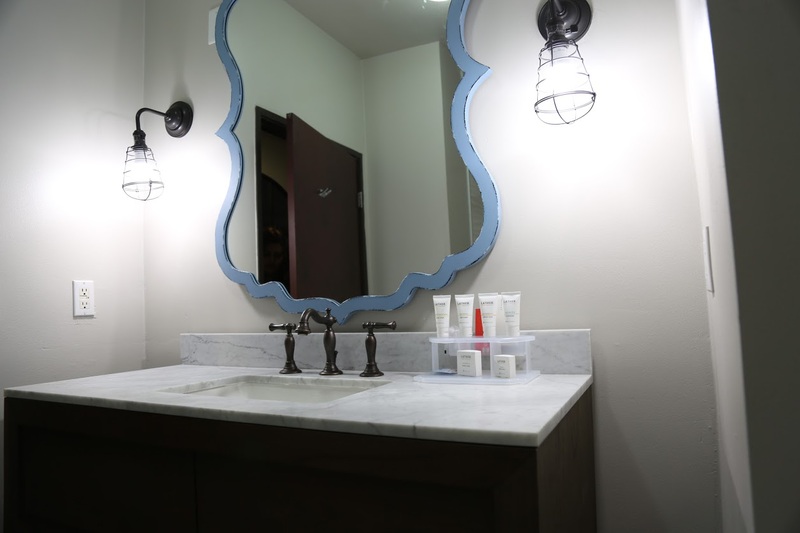 Our double queen room's private bathroom comes stocked with amenties like a hairdryer and lather bath products. 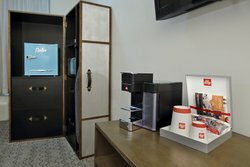 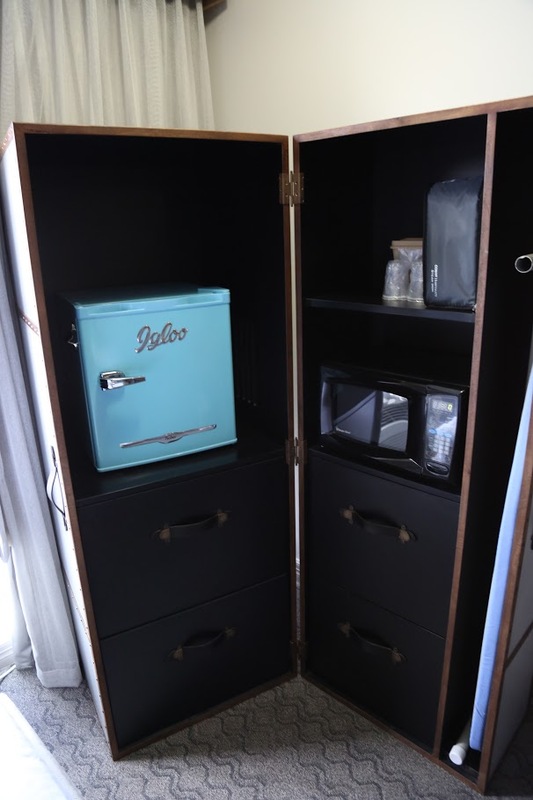 Ideal for travelers on the go, enjoy a king-sized luxury bed, Illy coffee maker with espresso pods, and a full private bathroom with a shower, tub, and toiletries. 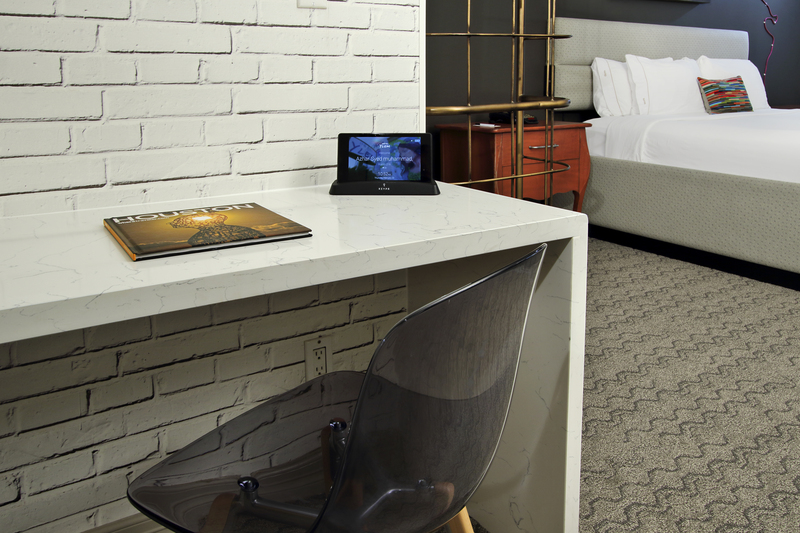 Stay connected with our high-speed Wi-Fi and get organized at your designated workspace with a Kaypr tablet. Stay energized with our convenient headboard charging station! 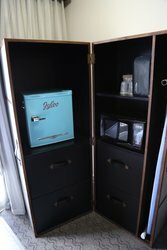 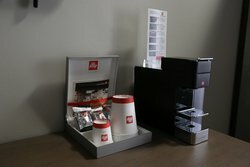 Available in each room of the Hotel Ylem. 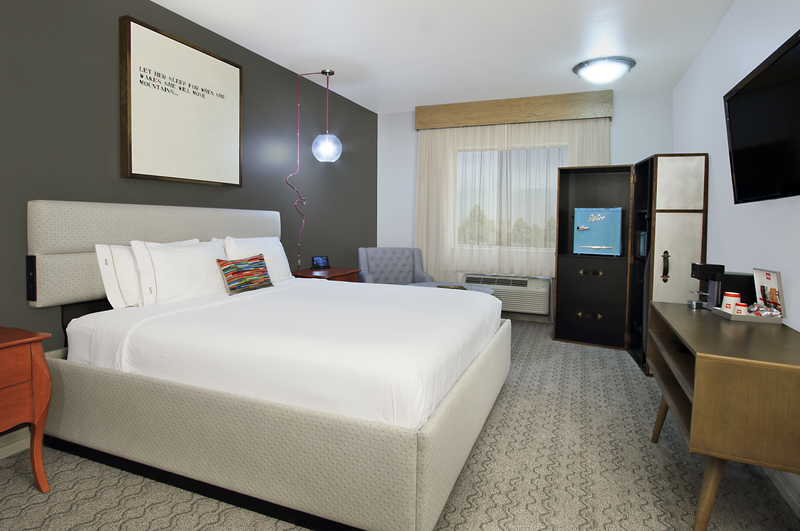 Find the accessibility you’re looking for in our spacious ADA room with a king bed. 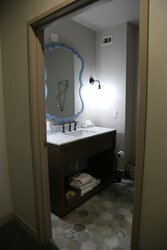 The washroom includes features such as a roll-in shower, grab bars, and lowered countertops. 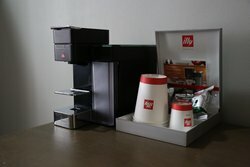 Relax with convenient in-room amenities including an Illy coffee maker with espresso pods, Kaypr tablet, and high-speed Wi-Fi. 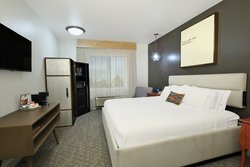 Indulge in some "me" time in your very own king room! In addition to all the quality amenities of a standard room, our suite features a comfortable sitting area and extra room to stretch out. Sleep well with luxury bedding in a king bed and enjoy amenities such as an Illy coffee maker with espresso pods, Kaypr tablet, and full private bathroom with a shower, tub, and toiletries. 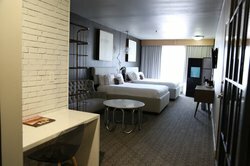 Perfect for families or groups looking for a place to stay in Houston, our double queen suite features two luxury queen beds in addition to a comfortable sitting area. Relax with thoughtful amenities such as an Illy coffee maker with espresso pods, Kaypr tablet, and full private bathroom with a shower, tub, and toiletries.